ICEPRO is an innovative designer, manufacturer and supplier of ice rink equipment. 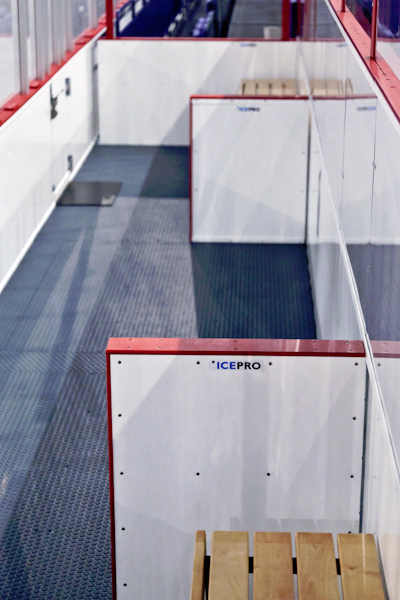 ICEPRO provides ice hockey arena builders, renovators and managers with customised ice hockey rinks and ice rink equipment as all-inclusive packages that are tailored to meet the specific needs of each customer. The most suitable rink structures, as well as components and equipment that best suit your project, will be used in design and production. ICEPRO was established to meet the needs of the market, in order to end the years of stagnation in the field. There was a clear need for flexible, safe, high-quality ice hockey rink structures with a modern, distinctive design. ICEPRO's innovative products, which exploit state-of-the-art technology through and through, meet this need. 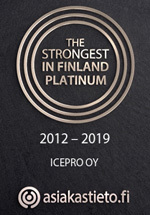 ICEPRO manufactures and markets its own core products. The company delivers to all corners of the world from small-scale amateur rinks to Olympic level arenas. The ICEPRO team has actively developed pioneering technological solutions and materials which have become established in use and secured their position as international models of choice. The profound understanding of the requirements set for the structures and equipment of ice rinks and arenas, as well as other indoor sports and business activities, is based on extensive work experience and personal interest. 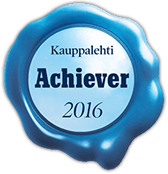 We constantly develop our products and services in close co-operation with our customers and other experts in the field. Our goal is to become a leading ice hockey rink supplier and an internationally competitive system supplier.